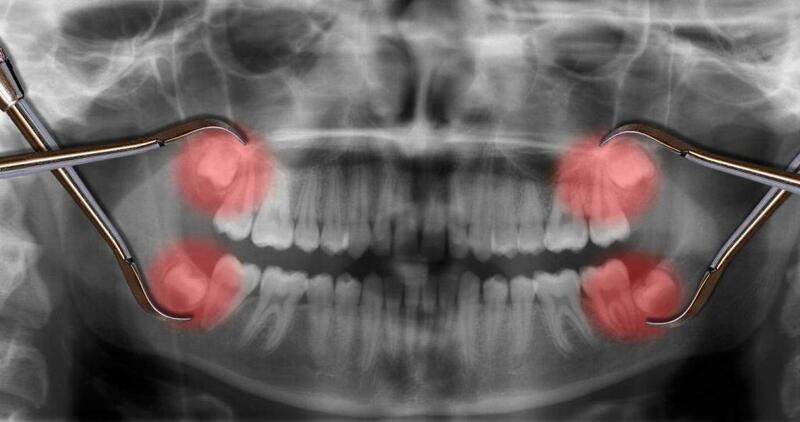 Wisdom teeth are troublemakers for many people, as they can become painfully jammed between bone and the other teeth. What’s the first thing that comes to mind when you think about long and painful dental procedures? You are likely thinking about wisdom tooth removal. Wisdom teeth are troublemakers for many people, as they can become painfully jammed between bone and the other teeth. They are often crooked and grow in a jaw that has become too small for them. 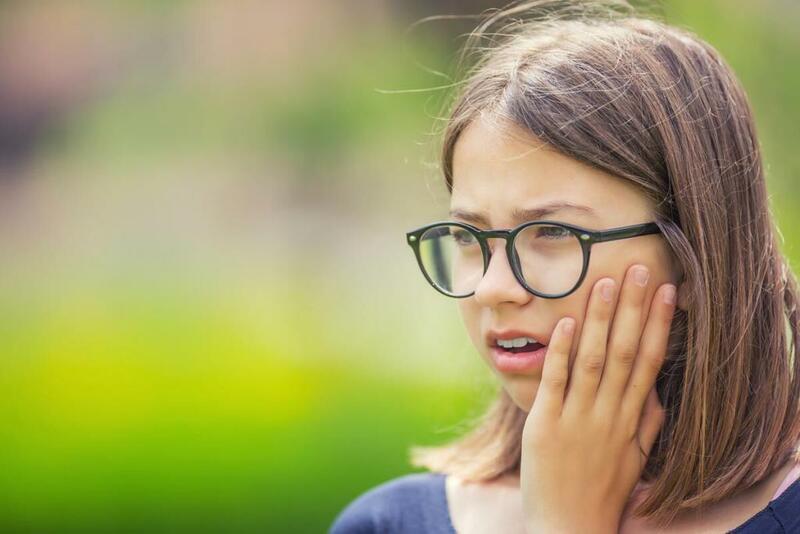 Removing wisdom teeth isn’t recommended in all cases, but if you do have decay or if they grow in the wrong direction, extraction might be the best option. If you are afraid about the procedure, then dental sedation might ease your anxiety. Talk with our St. Louis sedation dentists about it and see what the best course of treatment is for your case. What to Expect from Sedation Dentistry? Sedation dentistry includes all dental procedures that are done after the patient has been administered medication that numbs, calms and relaxes them. There are many types of substances that can be used and the concentration will be set by the anesthesia team in the least invasive way possible. In other words, you will be given the least amount of anesthetic needed for the procedure. Because wisdom teeth removal is a more complicated extraction than other tooth removals, and because you may have two or even all wisdom teeth removed at once, sedation dentistry is a really good option for this procedure. You can be sedated mildly or even be under general anesthesia. It all depends on what your doctor recommends. Depending on how complex your extraction will be, your level of anxiety regarding the procedure and your medical record, your St. Louis sedation dentist can give you one or more options. If your wisdom teeth aren’t that hidden, you may get away only with some local anesthetic, which is normal anyway when you are getting a tooth extracted. During this type of sedation, you are conscious and can communicate with the doctor and the sedation team, giving them feedback about how you feel. A slightly “old-school” method is the laughing gas (nitrous oxide), which has a very quick effect and wears off just as rapidly, making you relaxed and even cheerful – hence, the nickname. Ask if it is the only substance used to sedate you to make sure you can drive yourself right after the procedure. If there are others, you may need to be assisted. During IV sedation you will still be conscious, but groggy and even close to falling asleep. It will not let you remember much during the appointment, so it is a great solution for lengthy procedures such as multiple wisdom teeth removals. In some cases, general anesthesia is required to perform the procedure safely. You will be administered medication that will get you to sleep. When you wake up, you won’t remember anything about the procedure. If you are getting ready to have your wisdom tooth removed, talk about all the options with your doctor and ask them which one would be the best for you and why. Choose the one you are most comfortable with, but take the doctor’s advice into account. The following are some of the most common mistakes patients make before getting dental work. Many people get a lot of things wrong about dentistry. Some avoid going to the dentist because they are afraid of pain. Sure, some procedures might be uncomfortable, but we have the means to ease your pain and help you relax. A discussion with a St. Louis sedation dentist could help you understand better what most dental procedures entail. On the other hand, some patients postpone getting routine work on their teeth thinking that it’s too expensive. One of the most common reasons patients give us for postponing dental work is the idea that the treatment will take too long and they don’t have the time to accommodate it in their busy schedules. Yes, some procedures can take longer than others, but you can create a flexible plan with your dentist and a timeframe for each procedure so that you know what to expect. A lot of people avoid routine checks thinking that dental care is too expensive for them to afford it. But, think about it this way: if you postpone treating a small cavity and it turns into an abscess, then you will have to pay more for that procedure if you would have fixed the problem the moment you noticed it. Routine checks and regular maintenance will not only help you keep your teeth healthy but also reduce the cost of treatment. Maybe you had a bad experience that determined your fear of the dentist or maybe you’ve heard about someone’s traumatic day in the dentist’s chair and now you are afraid that the same thing will happen to you. Regardless of the reason, know that the tools and options available today can make your visit as comfortable as possible. Talk with your St. Louis sedation dentist about your fear and learn how he can ease your anxiety and help you get the treatment you need. Some procedures come with a few risks, such as respiratory distress. 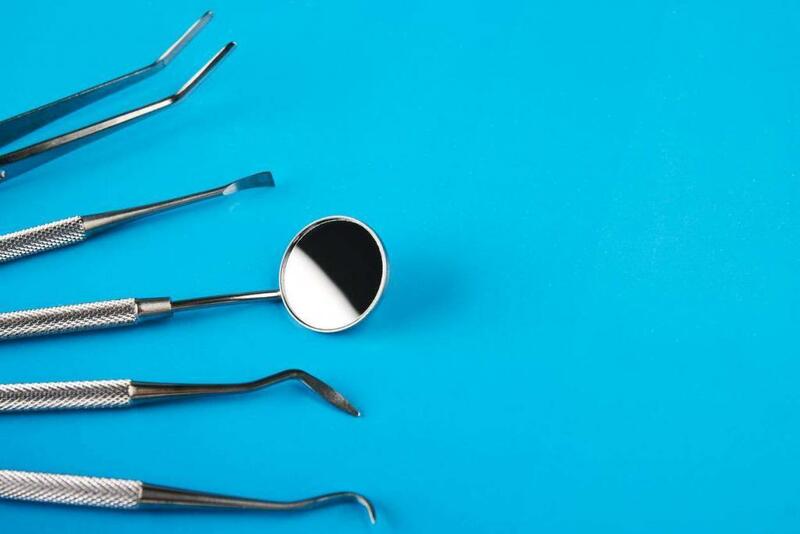 However, if you were to weigh the risks versus the benefits these dental procedures entail, then you would see that avoiding treatment is unnecessary. Even if things go wrong, the medical staff is ready to intervene and take proper care of you. Make sure to discuss the benefits, risks, and implications of dental treatment with your dentist and make an educated decision. 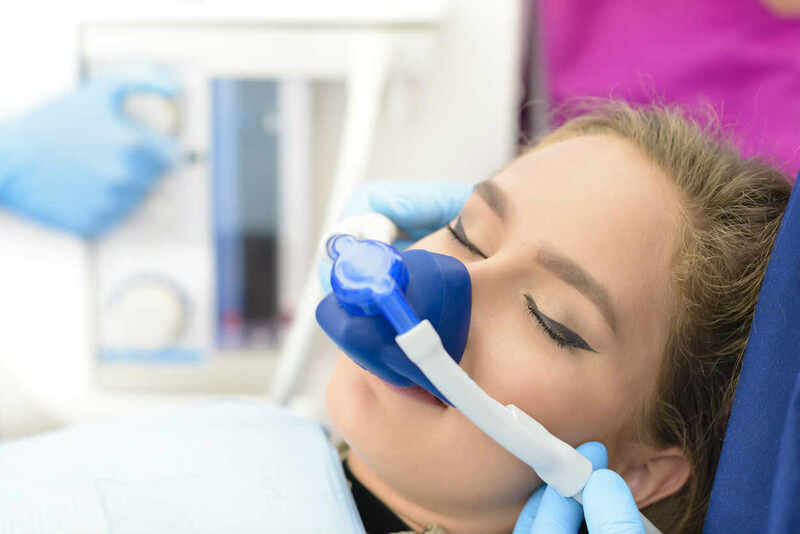 Although the number of patients that are treated through sedation dentistry is rising, some may still be relatively skeptical about this procedure. Whether is an exaggeration of the risks involved or a lack of trust in the medical staff, some patients will refuse sedation dentistry even though it might help them receive the treatment they need. While there are certain risks that certainly need to be taken into account by your St. Louis sedation dentist and the patient, many times all it takes is debunking some of the myths that have been circulating about sedation dentistry out of fear and lack of knowledge. 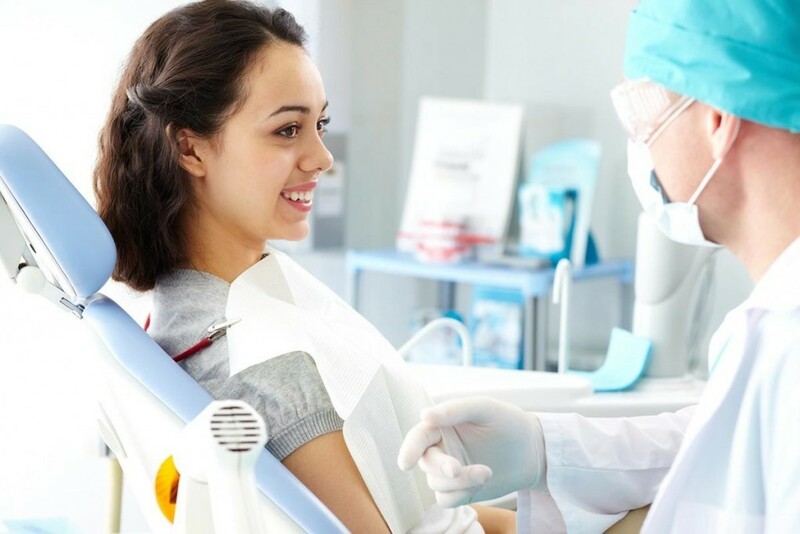 If you are about to have a lengthy procedure or if you have trouble dealing with anxiety when you go to the dentist, ask your doctor to tell you more about sedation dentistry, as it may be the best option for you. Don’t hesitate to ask any questions you may have and mention your worries to your doctor. Until you get to have a discussion with the dentist in person, here are some of the most common myths about sedation dentistry that you can dismiss. Many people have the wrong impression that sedation dentistry should only be reserved (or that it is only reserved) for big, complex operations. While this is indeed a type of situation where sedation comes in handy, it might be recommended by the dentist in other cases as well, such as patients with anxiety issues, children or patients with special needs and other conditions that make the dental procedures hard to perform. When you know that such a great help exists for patients with anxiety, you might be tempted to choose sedation dentistry for all the procedures you need, or at least the ones that make you nervous. Similarly, if you have a difficult patient in your care (such as a small child or a senior citizen), you think they should definitely be given sedatives to cope with the treatment. Unfortunately, not everyone is fit to be sedated, and the doctor will explain to you if it’s right for you or not. At the other end of the spectrum are the people who think sedation is really bad for anyone. While risks are not to be ignored in any case, they are most of the times controllable and don’t present a real danger for the patient. Trusting your St. Louis sedation dentist is crucial for the procedures to be as smooth as possible. Many myths surrounding sedation dentistry involve knocked out patients and various scenarios beginning from that. The truth is, there are different levels of sedation. In many cases, you are kept conscious and capable of communicating. The level of sedation that is right for you is best discussed with your sedation dentist. There are some other myths that we have encountered about sedation dentistry, but the ones above seem to be recurrent. If you have any doubts about sedation, asking your doctor about it is the best way of clearing things in your mind. The average recommendation is to make the appointment for when the child is 6 months to 1-year-old. A visit to the dentist generally isn’t anyone’s favorite way to pass the time. And if you think of a restless toddler who puts on a tantrum just because his socks are blue, going to the dentist’s office may seem like an impossible mission. Plus, is it really needed? Their baby teeth are sparkling clean and they will be replaced soon anyway. Why bother with a possibly traumatic experience like that? The following might change your mind about oral health education or reinforce what you already planned about it. The vast majority of dentists in America agree that the first visit to the dentist should be done early, some even expecting the child into the cabinet when the very first tooth appears. The average recommendation is to make the appointment for when the child is 6 months to 1 year old. 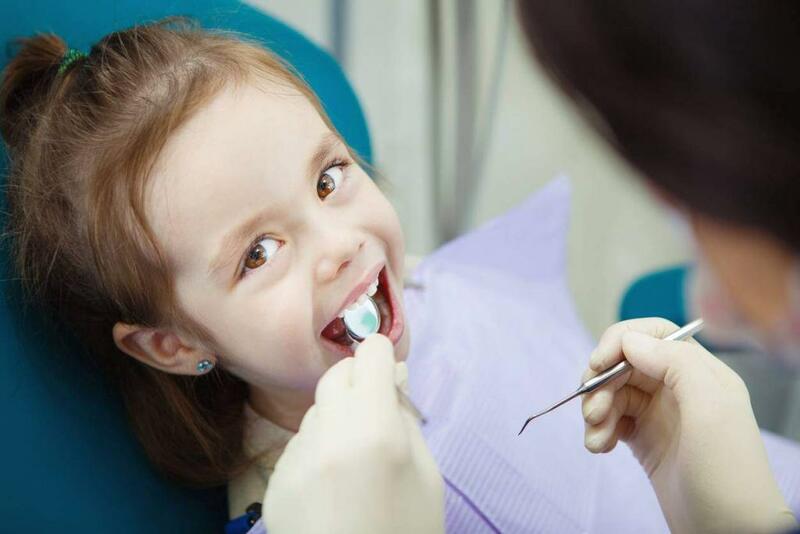 The very first visit you make to your St. Louis pediatric dentist’s office is more about getting the child used to the environment, having them acquainted with the doctor and reinforce the oral hygiene lessons you’ve been practicing at home. The dentist will gently introduce your child to the medical equipment, let him get comfy on the chair and talk to both of you. 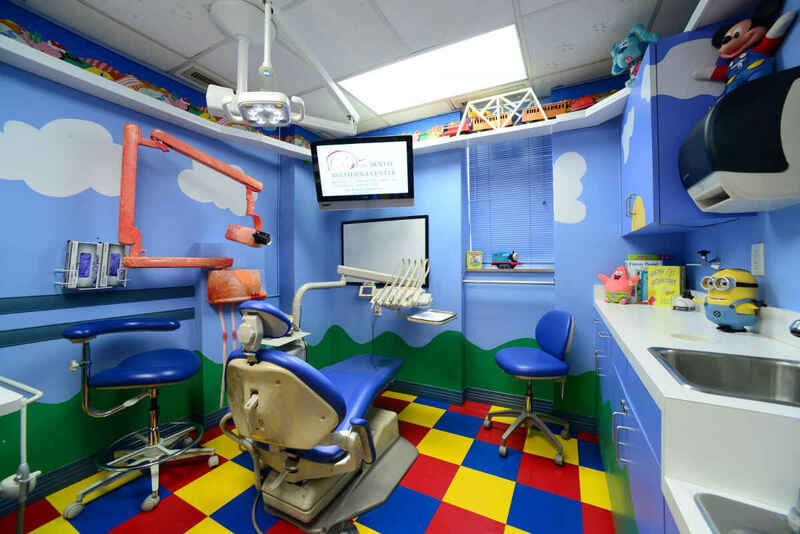 The first visit is meant to get the child relaxed in this environment and to inform the parent about the correct way of cleaning the child’s teeth, how to encourage cooperation and what to be on the lookout for. Some dentists, if all goes well, can perform a gentle cleanse and get rid of plaque and other deposits on the teeth. That is a great way of teaching the child that they will not be hurt when on the dentist’s chair and that oral health is extremely important. Your approach prior to the first visit depends a lot on the child’s age. An older child – 3 or 4 years old – can understand simple explanations about the importance of oral health and clean teeth. A one-year-old won’t be so easy to reason with, right? But don’t worry, there are other tricks to make them excited about going to the dentist. Get them toy dentist utensils and have their dolls and teddies get some routine “dental procedures”. Bring their favorite toys to the cabinet and let them participate. Older siblings can also be of great help in this situations, showing their little brother or sister that they are calm and comfortable. Rewarding good behavior at the dentist is also a good idea. 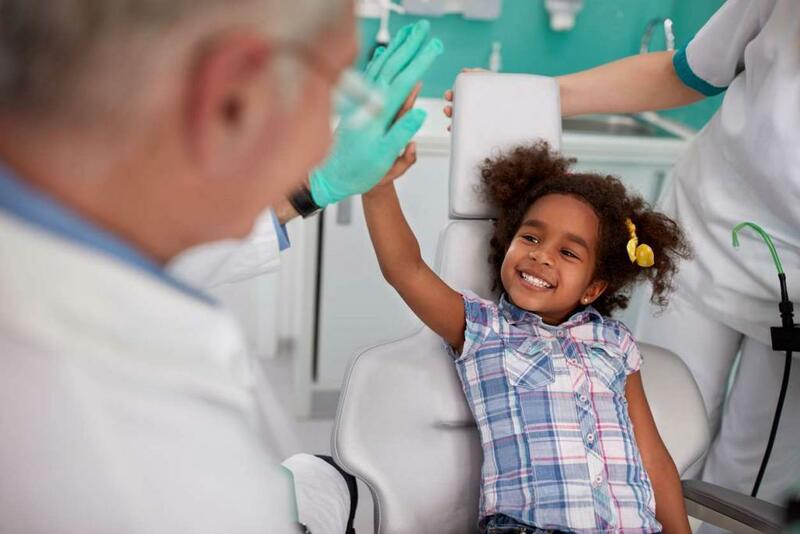 Most importantly, if you are calm and positive about their first visit to your St. Louis pediatric dentist, your child will handle the event much better. Here’s to healthy teeth! Give us a call today to learn more or to schedule an appointment! Your child’s oral health is very important and a good start will impact the rest of their lives. Taking your child to the dentist as early as possible is a very important step in educating them about good oral hygiene. However, for many parents it seems like a stressful event, especially if the child is very young or if the parent himself has some trouble coping with dentist visits. If you want to eliminate the stress associated with the dentist visit for your child, take your time to prepare with a few tips and tricks. The best start to smooth dentist visits with your child is to let them get familiar with this situation as early as possible. If possible, try to make the first dentist visit while your child is still a toddler. It’s not too early, as some parents think, because it’s more about getting them used to the setting than getting actual procedures done. If you start early and go to routine checks instead of waiting for the first problem to visit your St. Louis pediatric dentist, you don’t have to rush the appointment. You can take it slowly and let them explore the cabinet and the equipment, take the time to meet and get comfortable with the staff and realize that it is a safe zone. Most dentists will be very understanding of these courtesy visits. Books are always a good aid in getting the kids familiar with certain aspects of life. Fortunately, there are plenty of about going to the dentist that will sparkle your child’s interest and set the correct expectations about the visit. It is important that you also project a positive image of the dentist and avoid saying words like “pain” or “hurt”. Another great way of learning what to expect is to play pretend dentist. You can take turns to be the dentist or the patient and use toys that look similar to the dentist’s instruments. There are plenty of dentist toys you can use to make the idea of going for a check-up fun and interesting. This might work better for younger children, but it is worth trying with older kids too if they feel a little anxious about going to the dentist. Take a toy or item that makes them feel comfortable, but avoid bringing them if they are too big and may interfere with the doctor’s work. Most importantly, your presence should be calming and reassuring. Stay with them and make sure they can see you or hear you at any point of the procedure. Talk to them and the dentist and try to be cheery, calm and positive. Your child will eventually get used to going to the dentist if you are persistent. Their oral health is very important and a good start will impact the rest of their lives.